GIVEN the obsession with USB-equipped DACs and vinyl these days, it is surprising that more manufacturers are not reversing the conversion process – that is, facilitating the digitising of analogue sources. That’s right, we need more analogue-to-digital converters (ADC) in the market and who better to oblige than Italy’s M2Tech. Introducing Joplin, which the Italian company is touting as many things rolled into one. The Joplin is especially targeted at audiophiles who want to incorporate an analogue source (yes, turntable, especially) into their digital playback system. The Joplin 32-bit/384kHz ADC (although M2Tech says it’s more than just this) threatens to replace your phono preamp (MM and MC) and has a wide range of EQ curves for all sorts of vinyl eccentricities. 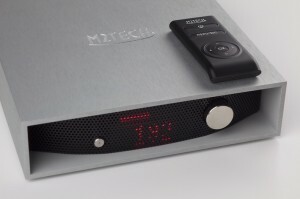 Yes, it has a high-speed asynchronous USB 2.0 connection which outputs the highest numbers this converter crunches out; it is also equipped with a comprehensive set of digital outputs – coaxial, optical and XLR. An auxiliary coaxial digital input and a pair of analogue RCA inputs are equipped for your source. A comprehensive set of EQ curves can accommodate a wide range of phono formats from the past 80-odd years, as well as reel-to-reel tape. The analogue stage, based on the most effect programmable gain amp (PGA) available, allows for a gain of up to 65dB, which should take care of most MC cartridges. You can output the analogue signals straight to a computer – this one is compatible with Windows, MacOS and Linux. The Joplin is compatible with sampling frequencies of 44.1kHz up to 192kHz, and 352.8/384kHz via the USB connection, with a resolution of 16/24-bit (32-bit via USB). Gain can be set at zero or from 10db to 65dB in 1dB steps. The EQ curves include 16 for LP, seven for 78rpm discs and four for reel-to-reel tape, along with a high/low pass filter and an MPX filter for FM radio capture. And yes, there is a remote handset. The Joplin is shipping now, so go on to the site for more details or call your distributor.